After every distribution we normally do a litter pick. But we are by no means the only source of litter at the sites. 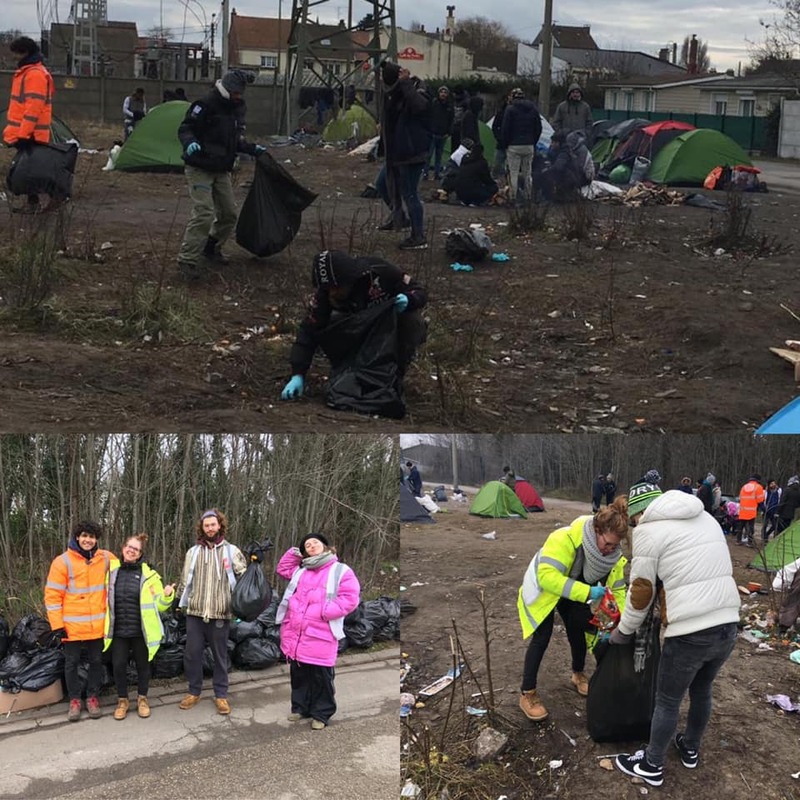 Last weekend at one of the sites in particular, things had got out of hand and the people there were telling us how low it makes them feel when there is rubbish everywhere. Because of the cold weather we have been doing extra distributions, and now is a low time of year for volunteers, but the volunteers really wanted to help. They asked if they could go in the morning before our day starts and do an extra litter pick there. We said of course! A small group went down and the refugees all wanted to help. In two hours they had over 100 bags collected and things were hugely improved. The refugees said if we provide them with gloves and bags they could maintain this themselves. And of course that’s the problem. All the things we buy in bulk seriously add up. Bin bags, cardboard boxes, packing tape, plastic cups, you would not believe. So we are asking for donations to help with this. Or it may be that you have some connections with suppliers who might help?